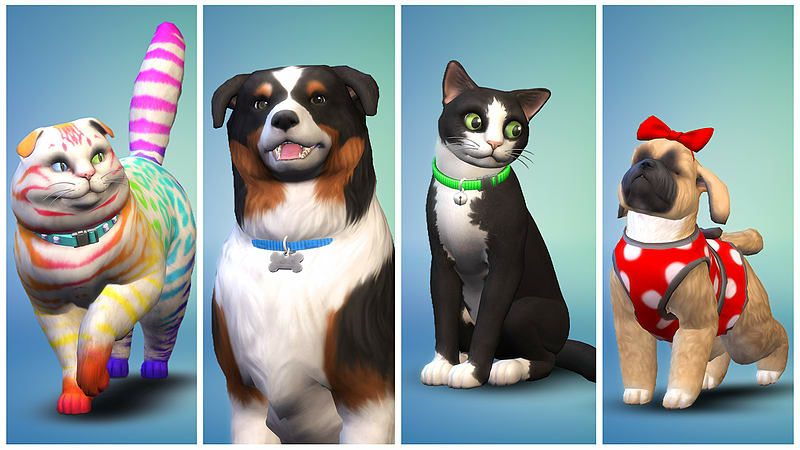 Create Cats and Dogs – Use the powerful Create A Pet tool to express your creativity as you customise your Sims’ perfect cats, dogs, puppies, and kittens. Choose from a variety of breeds, give them distinct personalities, and directly manipulate their features. Easily personalise their coats with unique patterns to create your real-life pets, dream pets, or something more fanciful. For the first time, complete their looks with expressive outfits and accessories. 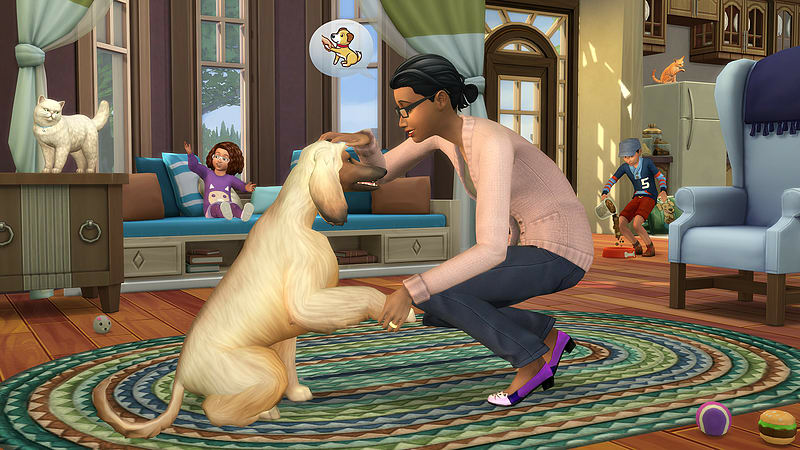 Bond with Your Pets – Experience the companionship and fun that furry friends bring to your Sims’ lives. 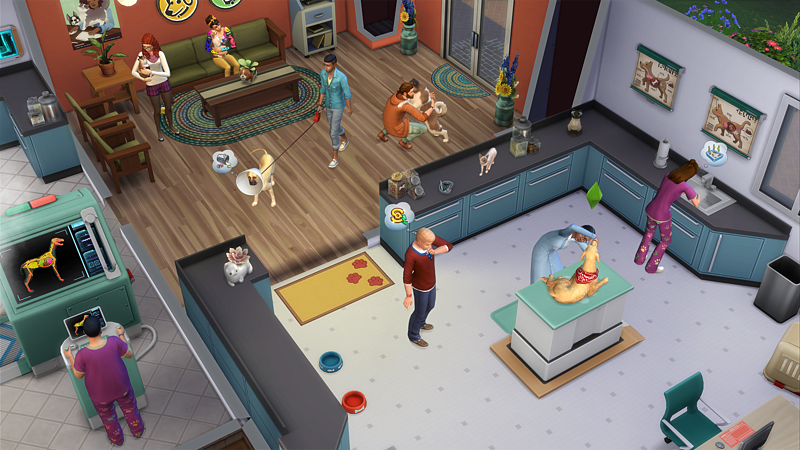 Cats and dogs have minds of their own and form special relationships with Sims based on their daily interactions. Your Sims care for, train, and play games with their pets who all exhibit distinct and sometimes bizarre animal behaviours. Become a Vet and Run a Clinic – Build a veterinary clinic, hire a dedicated staff, and further your career as the town’s most promising animal doctor. You’re in control of daily operations from the services offered to what you charge. 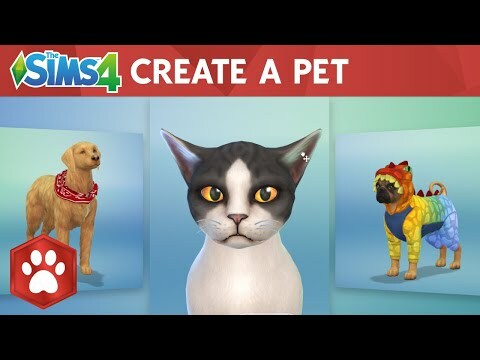 Your Sims can diagnose and cure pets with critical surgeries or treat fleas and other afflictions with simple medications. 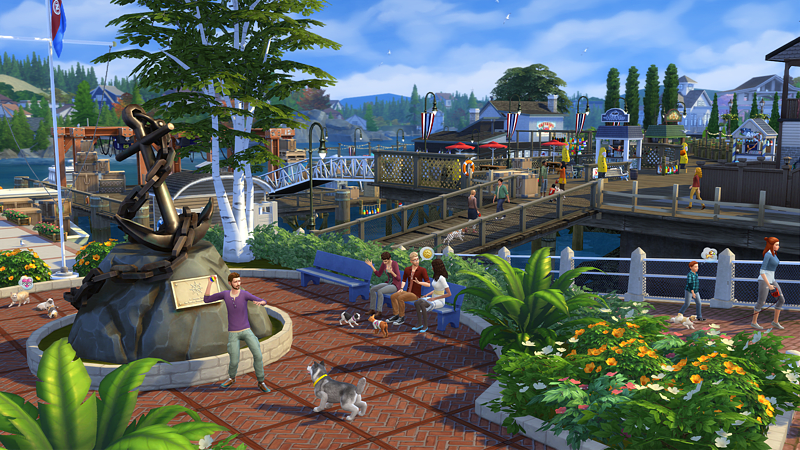 Explore Brindleton Bay – Discover the coastal shores of Brindleton Bay, a new world where your Sims and their pets can live and enjoy outdoor activities. Play fetch near the harbour docks, take a walk to the lighthouse, or visit a park to setup an obstacle course and meet other pet-loving locals. Be on the lookout for stray pets that your Sims can take in as their own. © 2017 Electronic Arts Inc. EA, the EA logo, Maxis, the Maxis logo, The Sims and The Sims plumbob design are trademarks of Electronic Arts Inc.